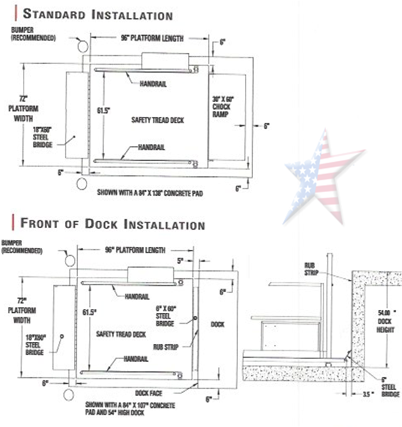 Dock Lifts Can Be Easy to Install. These listed here are considered ready to 'drop into position' and go to WORK. Dock Lift Can Be Easy to Install. These are instant Lifts that simply require positioning and plugging into a power receptacle and they are ready to go to work. 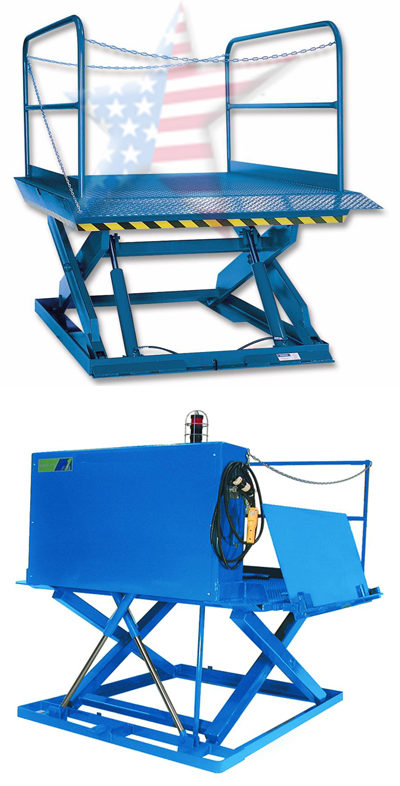 They were designed for use with light equipment such as hand carts, 4 wheels carts and pallet jacks. All models are equipped with a hinged bridge with pull back chain. Each unit is fully primed and then finished with baked enamel. Please Contact us with your specifications for a Fast Quotation!